Plant growth across the globe has increased over the last 30 years in part due to rising CO2, but also because of the expansion of agriculture, according to international and Australian research. 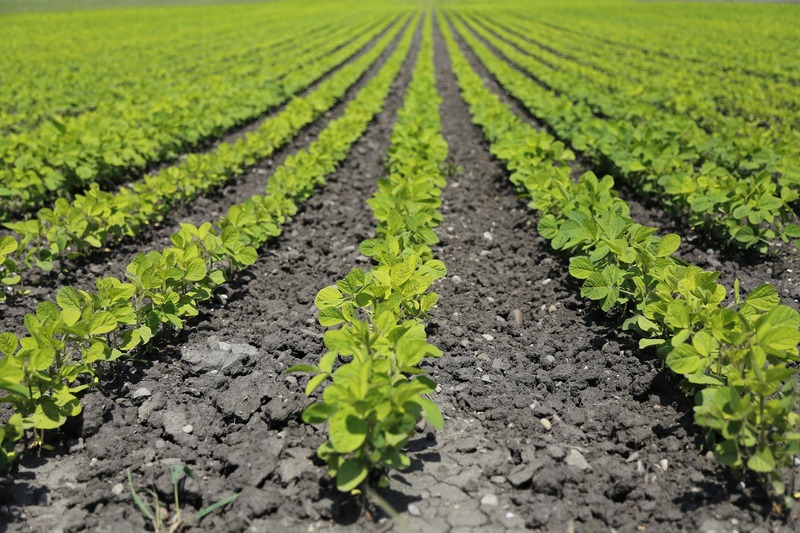 The study found that plant growth had increased fairly consistently between 1982 and 2011 and that around 65 per cent of the change could be explained by three factors: expanding croplands, rising CO2 and intensifying nitrogen deposition. But before you get excited that plants might help save us from climate change, the researchers say expanding agriculture can also cause the loss of soil carbon which would increase carbon emissions. Funder: This work was financially supported by the National Key R&D Program of China, National Natural Science Foundation and National 1000 Young Talents Program of China. A new study by scientists from Australia, China, Sweden and the United States shows that Earth’s land vegetation has become increasingly dense during the peak growing season over the last three decades. First, they find that this coincides with the increase in the amount of carbon dioxide the atmosphere by forty-five per cent since the beginning of the Industrial Revolution due to the burning of fossil fuels. (Generally, plants grow to a greater extent at higher atmospheric carbon dioxide levels.) Secondly, they find that this also coincides with the partial replacement of forests and grasslands by agricultural crops which grow faster. Thirdly, they find that the increased use of nitrogen fertilizers and the increased deposition of nitrogen compounds from the atmosphere because of fossil fuel burning enhance plant growth. It is encouraging to know that Earth’s plant life, upon which human life depends, is in good shape. Photosynthesis in green plant leaves takes carbon dioxide from the atmosphere and water from the soil to produce the oxygen which we breathe. It also produces the carbohydrates which ultimately lead to all of the other plant materials which feed us. Additionally, much of the fresh water that falls as rain is released into the atmosphere from plant leaves. However, this must be balanced against the temperature rise and climate change increasing atmospheric carbon dioxide levels are causing. This, together with the expanding area of cropland required to feed a rapidly growing world population and the consequent loss of much of our wildlife is a major concern. In addition, the conversion of wilderness to cropland can release soil carbon as carbon dioxide. These issues reinforce the knowledge that we must concentrate on preserving the viability of our home planet, Earth. Scientific studies such as that discussed above are vital to our gaining the ability to do this. The research helps explain something we've known for a few years, that CO2 uptake by plants is increasing and that most of that increase is in the peak growing season. To help fight climate change, though, that CO2 has to stay out of the atmosphere for a long time. The research doesn't address that question. Also, the surprising importance of expanding croplands is slightly bad news since it's a card we can't keep playing forever. Another common feature of agriculture is irrigation. When they have plenty of water, plants can continue to take in CO2 during photosynthesis (the process of using CO2 and sunlight to produce sugars, which allow them to grow). But if they become water-stressed it’s a different story. No amount of CO2 is going to help a drought-stressed plant grow and drought is increasing in many places around the world. So, while crops may be doing well, this is often dependent on keeping the water up to them and it certainly won’t help natural vegetation systems, which aren’t artificially irrigated. Also, unlike trees and shrubs, all cereal crops (corn, rice, maize, wheat, barley etc) are shallow-rooted and short-lived. This means that the CO2 cereal crop plants take in from the atmosphere isn’t locked underground the way it is for long-lived, deep-rooted plants, but instead released back into the atmosphere pretty quickly.